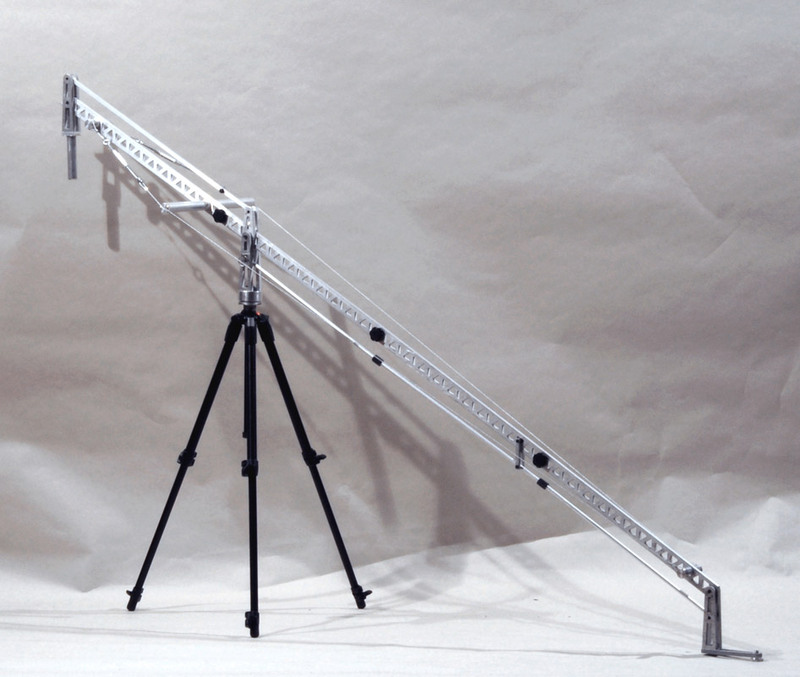 Note The jib can be assembled in different lengths 6ft, 8ft, 10ft to reduce weight if the full length is not needed. 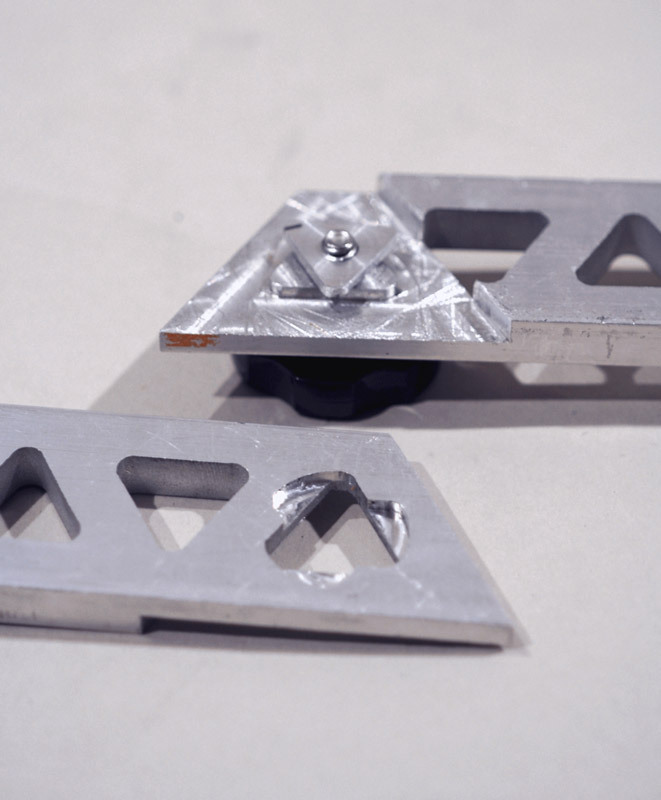 The jib uses a custom triangular lock to attach the parts. 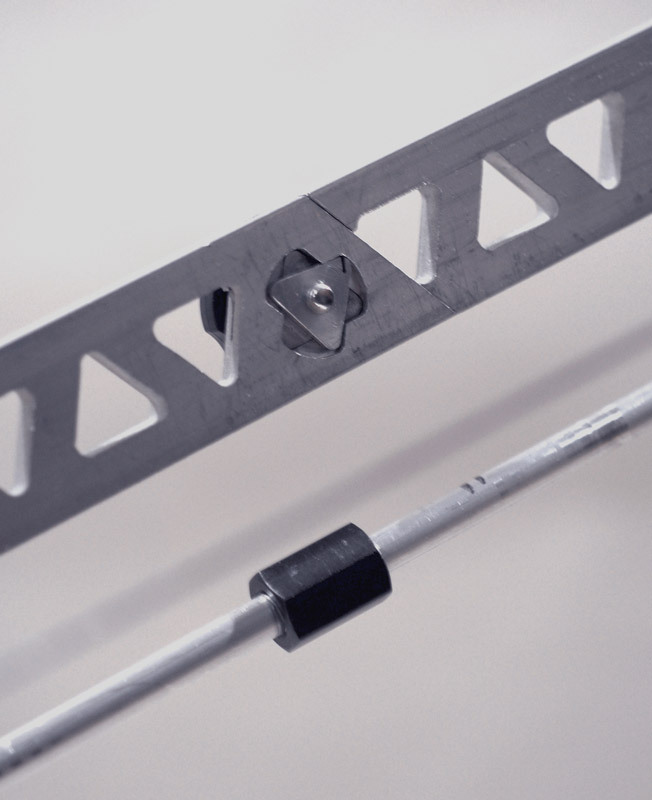 The lock is made to be super simple to use and strong when engaged. 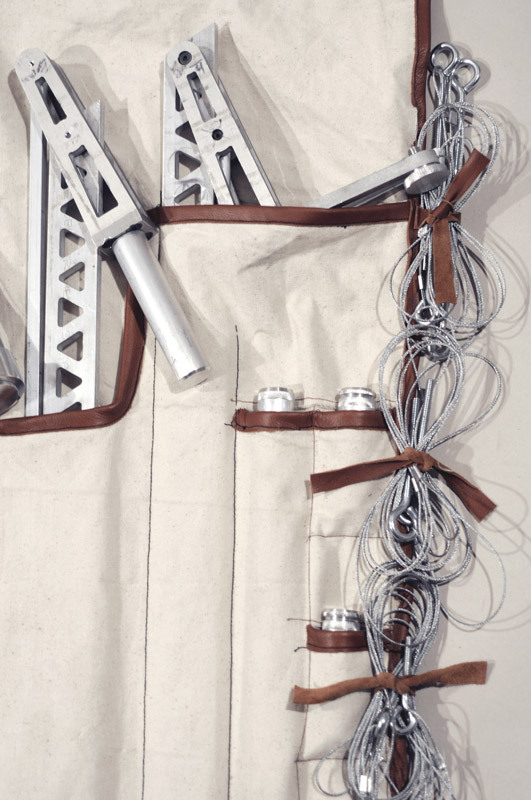 A cable suspension system is added prevents horizontal sway. 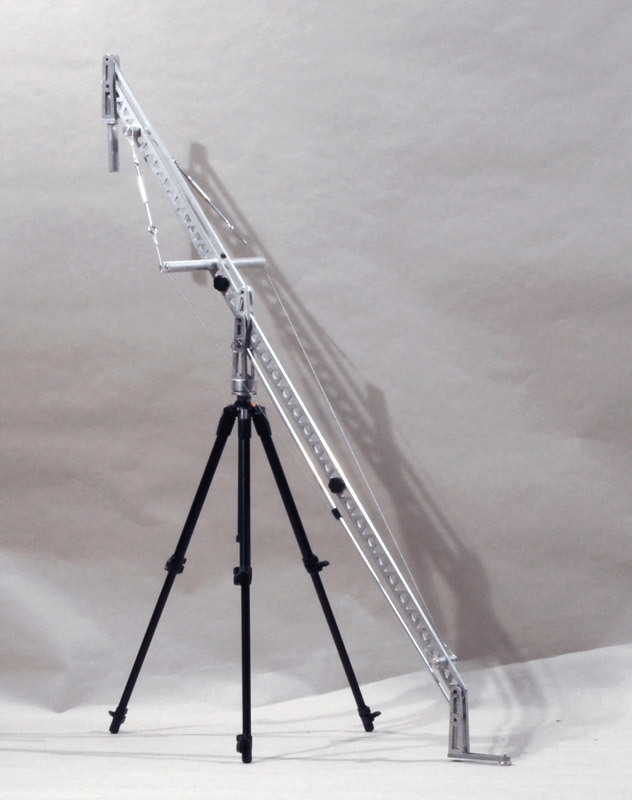 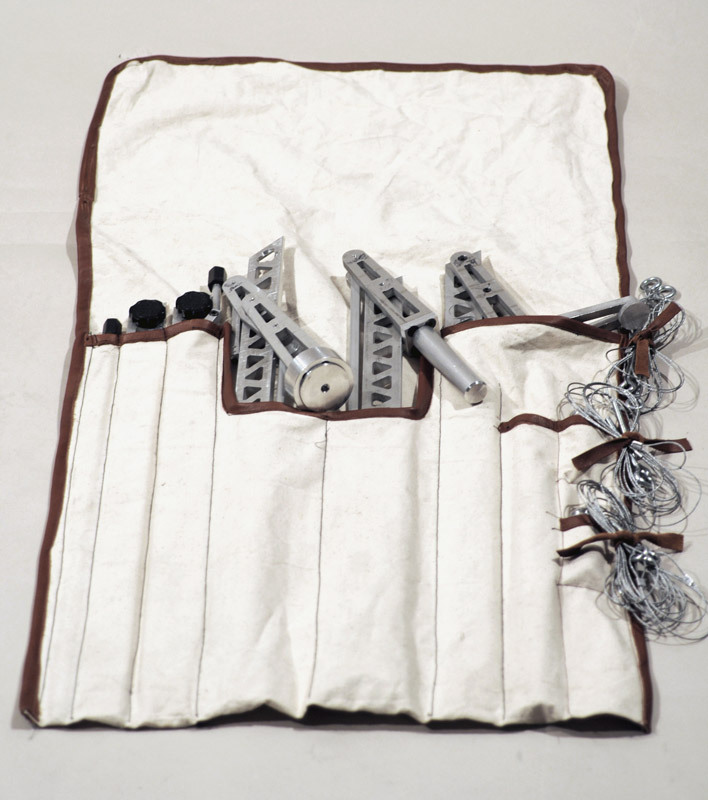 The jib breaks down completely and can be stored and transported in a canvas case. 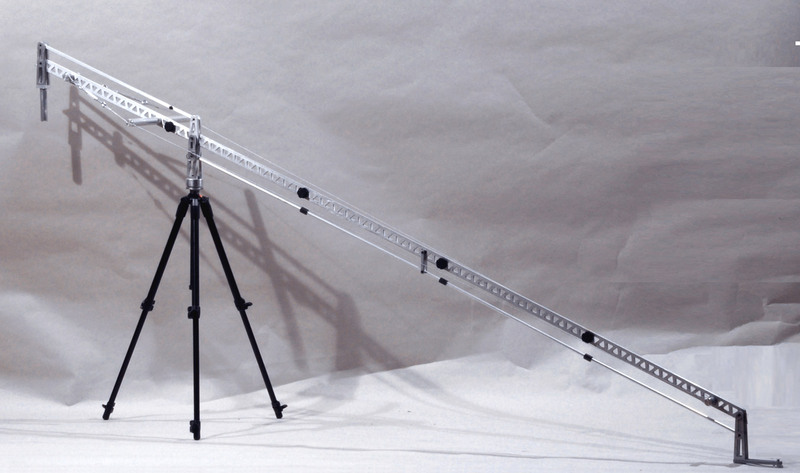 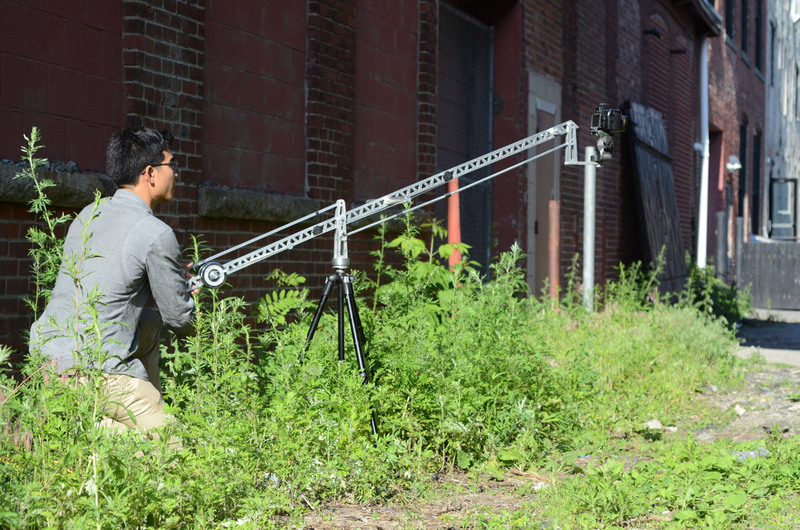 The jib has been tested by filmmakers, such as Julian Marshall, and has proven to be a versatile and useful filmmaking tool.